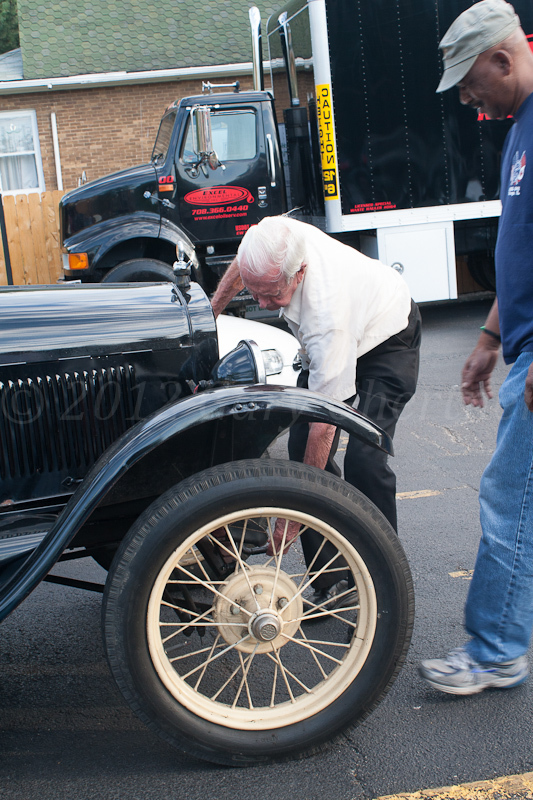 I’ve spoken with Don Carter before about his car at Forest Park Cruise Nights and I decided to document his car and found two YouTube videos of him with his car; forgive me there are commercials. He is a modest man who has starred in two YouTube videos with his car. The car is a black Model T Ford. This was the Ford offered colors other than black. Two options available in 1926 were basic and ‘electric’. The basic model cost $ 290 and the ‘electric was $ 375. The basic model had only a hand-crank starter but the extra $ 85 got you an electric starter, a battery (also used for lights) and a generator for the battery. 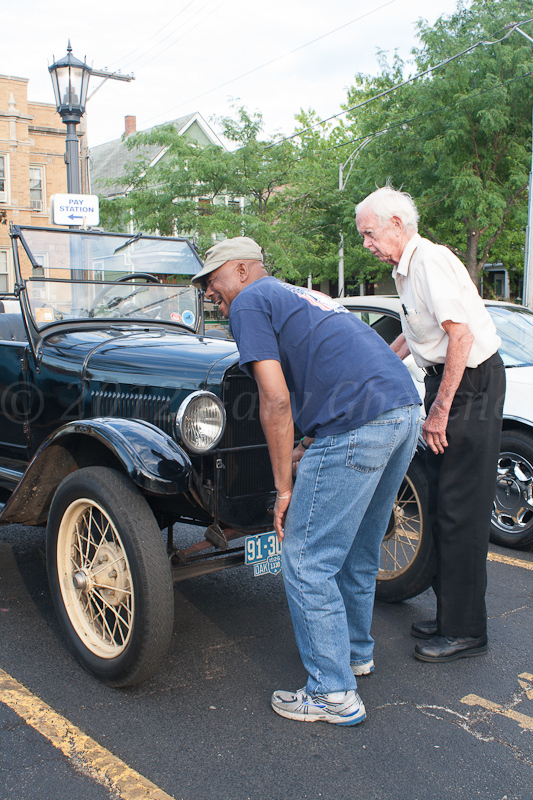 Don coaxed a show visitor to crank the car to start it.The Ford T Model was the first ‘affordable’ car because it was manufactured on an assembly line (a Henry ford innovation) rather than hand-crafted. 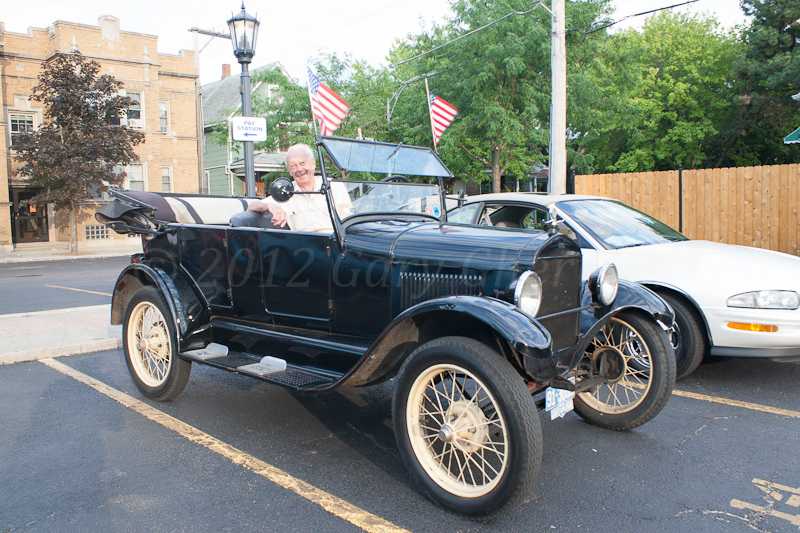 They were manufactured from September 1908 to October 1927. However, in the first years of production from 1908 to 1914, the Model T was not available in black but rather only grey, green, blue, and red. 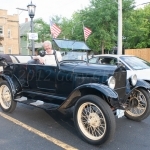 Green was available for the touring cars, town cars, coupes, and Landaulets. Grey was only available for the town cars, and red only for the touring cars. 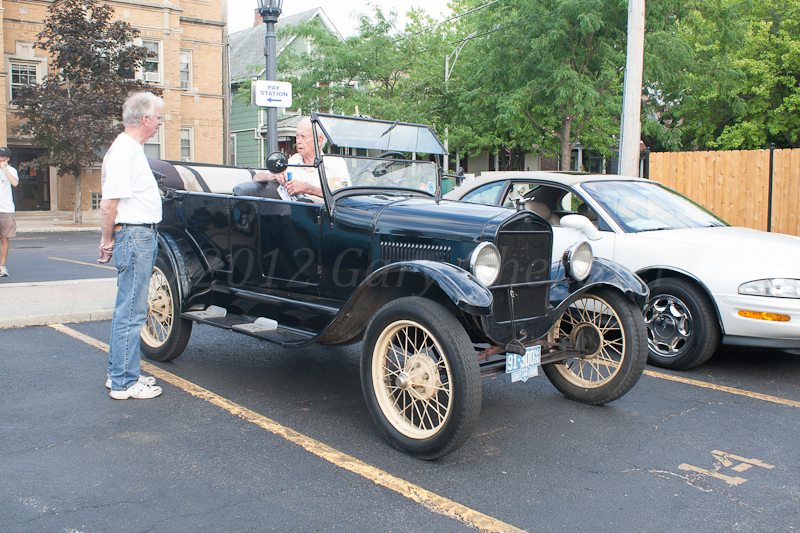 By 1912, all cars were being painted midnight blue with black fenders. It was only in 1914 that the “any color so long as it is black” policy was finally implemented. 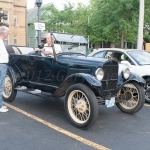 It is often stated that Ford suggested the use of black from 1914 to 1926 due to the cheap cost and durability of black paint. 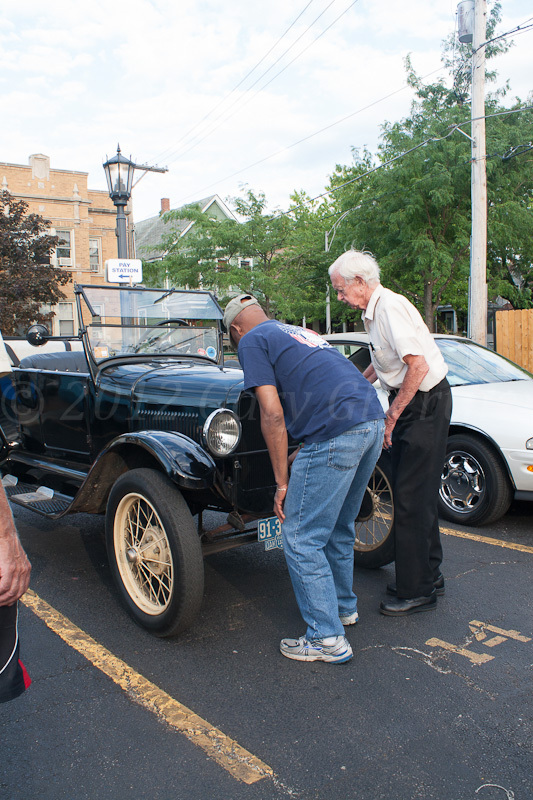 During the lifetime production of the Model T, over 30 different types of black paint were used on various parts of the car. These were formulated to satisfy the different means of applying the paint to the various parts, and had distinct drying times, depending on the part, paint, and method of drying. 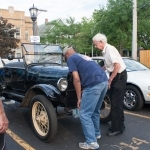 Here is a video from the July 27, 2011 Forest Park Cruise Night. 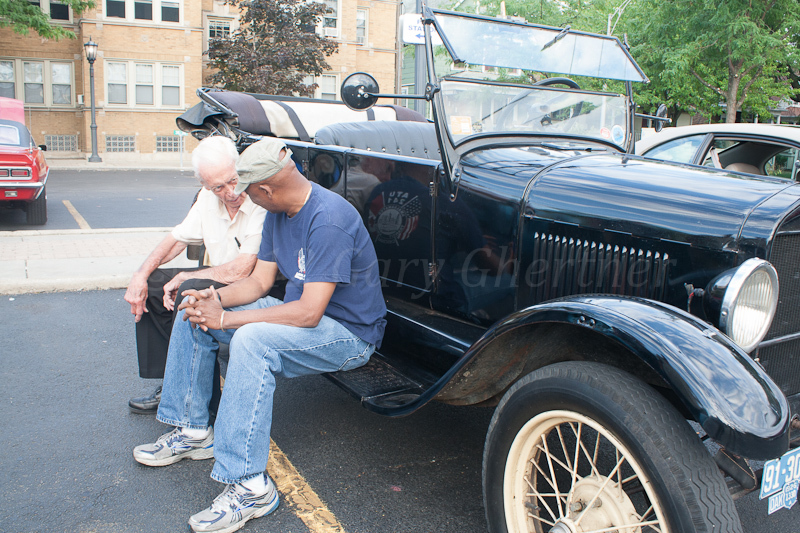 This video of Don and his car was shot on Veteran’s Day in 2010 at Scoville Park in Oak Park, Illinois. He speaks of his service in the US Army Air Corps from 1944 to 1945 at bases in Colorado and Texas. Scoville Park. where this video was filmed, was his ‘front yard’ from 1935 to 1954 when grew up. This is my video of starting the T-Model shot on July 11th, 2013.